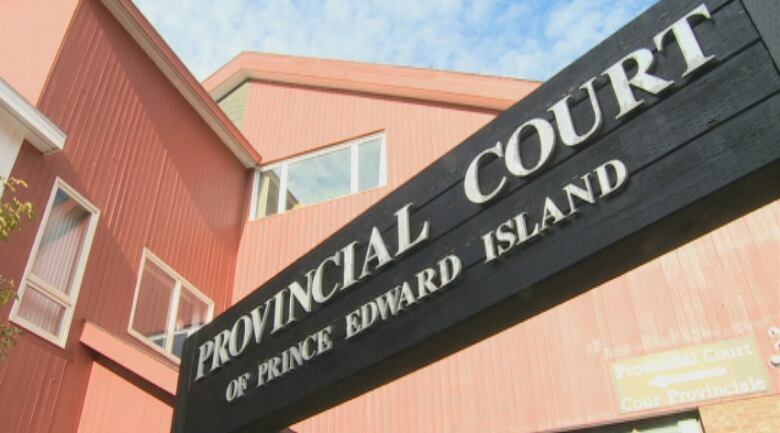 Immigration fraud trial wraps up first day in Charlottetown court - blogPEI | Prince Edward Island - Breaking News. A high-profile immigration fraud trial has wrapped up its first day in P.E.I. provincial court in Charlottetown Tuesday. Ping Zhong and her brother Yi Zhong both face multiple charges of aiding or abetting misrepresentation under the federal Immigration and Refugee Protection Act — specifically, they're accused of assisting clients of P.E.I. 's provincial nominee program (PNP) to provide false information about their residency in Canada. They have pleaded not guilty. The siblings are co-owners of the Sherwood Motel in Charlottetown. Canada Border Services Agency (CBSA) investigators allege in court documents hundreds of immigrants used the motel and other addresses in Charlottetown as "addresses of convenience," to make it appear they were living in Charlottetown when they were actually overseas or elsewhere in Canada. According to the court record, both Yi and Ping Zhong were born in China. Ping, 60, became a Canadian citizen in 1995, and her brother Yi became a permanent resident through P.E.I. 's provincial nominee program in 2007, with help from Ping. The Zhongs were both in court Tuesday. A Mandarin translator has been provided to assist Yi Zhong. In court, CBSA investigator Lana Hicks explained how an investigation into a "high-value" watch suspected of being smuggled through the Halifax airport in March of 2015 led her to call the Sherwood Motel looking to locate a possible witness. After being told the person she was looking for wasn't there, Hicks said she conducted further checks on the motel and the residence of one of its owners. Hicks told the court what she learned from those checks caused her to launch an investigation. On Feb. 17, 2016, search warrants were executed by Canada Border Services on three vehicles and four addresses in Charlottetown, including the Sherwood Motel. Documents and electronics were seized, Hicks told the court. Federal Crown prosecutor Caroline Lirette questioned Hicks in court Tuesday morning on volumes of immigration and other federal documents belonging to one of seven PNP immigrant families referenced in the matter before the court, outlining how in some documents the applicant provided his address as 281 Brackley Point Road — the address of the Sherwood Motel — while other documents list simply "Charlottetown, PE." Lirette asked Hicks to read out sections of documents where the family declared their intention to live in P.E.I., and where they were advised the province could withdraw its certificate of nomination if the family provided false or misleading information. Lirette also had Hicks read out two letters from Island Investment Development Inc. (IIDI) from October 2012 signed by director Jamie Aiken, advising the PNP client that both their language and good faith deposits under the PNP were being withheld because the client had not provided proof he had met the requirements for their return. Those letters contained neither an address nor a phone number for the recipient. According to documents filed in court, in an email to the immigration agent involved in the case regarding the same client, a staff member from IIDI wrote: "This client has never been into our office for a landing, therefore we do not have any contact information on file." That same quote would be read several times throughout testimony, with Hicks referring to other emails from IIDI regarding other clients whose deposits had been withheld. Two funds disbursement requests included in the court files for the same client, for their $45,000 in deposit funds, included the note: "Did not land in P.E.I." An address history required on an application for a five-year renewal for a permanent residency card for that client listed addresses in B.C. and China, but none in P.E.I. Another document showed the client applying to the federal government to voluntarily renounce their Canadian permanent resident status. That document was dated July 20, 2016, with a return address for the client in Coquitlam, B.C. In her final questions for the morning, Lirette referred to items and documents seized from Unit 19 of the Sherwood Motel during the search by CBSA. Those documents included receipts from the Canada Post outlet at the Charlottetown Superstore, showing Yi Zhong had mailed items to the client in question in Vancouver in 2011. Hicks, the lead investigator on the case, said she did not know the contents of the envelopes that were sent. Later in the day Lirette referred to more Canada Post receipts discovered at the motel, for items sent to other PNP clients living in Ontario and B.C. The Crown also referred to notes, handwritten and mostly in Chinese, found in Unit 19. Two of the notes included what read like a shopping list of duties to be performed with a client: registering kids for school, opening a bank account and registering for a health card. Another note advised one of the defendants to mail items to a client in Toronto. Court heard that note was written on the back of a letter from IIDI advising a client of a date for an appointment. It was not clear from the testimony who might have written the notes. The investigator is expected to continue her testimony through Wednesday. The defence has not yet had a chance for a cross-examination.